Proudly Serving Monroe LA, Ruston, Lincoln Parish and Ouachita Parish Drivers. 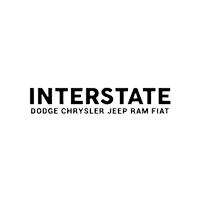 In addition to providing the drivers of West Monroe, Louisiana with a cornucopia of new FIAT 500, Ram 1500, 2500, Jeep Wrangler, Dodge Challenger, Chrysler 300 vehicles and used cars, we at Interstate Dodge Chrysler Jeep Ram FIAT are dedicated to all of your automotive needs. Namely, that includes helping you find the model that best suits your lifestyle and your budget through conversations with our sales consultants and lease and financing experts. But wait, there’s more. After you’ve left our showroom and driven your new car home, our longstanding relationship has only just begun. Over the miles that you and your Chrysler, Dodge, Jeep, FIAT or RAM car share, our service technicians are available to carry out your model’s routine maintenance needs. Moreover, our comprehensive parts department houses all the fixings that do-it-yourself drivers require when electing to tackle their own automotive repairs. In summary, we at Interstate Dodge Chrysler Jeep Ram FIAT are looking forward to assisting you in the ways in which match your automotive needs. To learn more about the products and services that our team provides, we welcome you to visit our showroom at your earliest convenience. Housed nearby at 701 Constitution Drive, West Monroe, Louisiana we’re happy to continue the conversation and answer any questions.